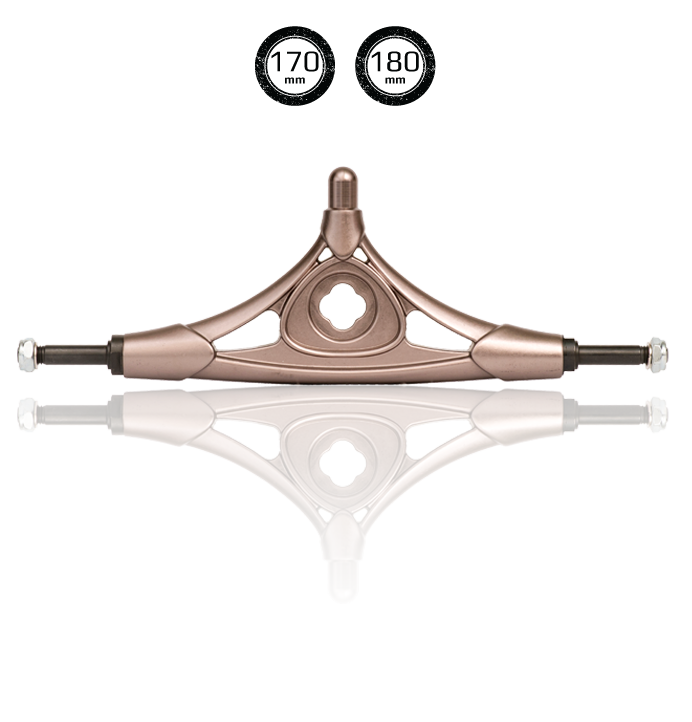 If you ask most skaters what they expect from a “Precision” truck, straight 8mm axles are pretty high on the list. And that’s exactly what we deliver in our Forged Precision Trucks. We designed our custom axle studs from the ground up, creating a straight, solid and super-strong bearing platform. Unlike a standard cast truck which uses 5/16″ bar stock for axles, we mill our axles to within a few microns of 8mm – close enough for a much tighter bearing fit, giving longer bearing life, a more “solid” ride, a smoother slide, and a tiny bit more grip and speed from your wheels. Fed up of loosing speed washers? 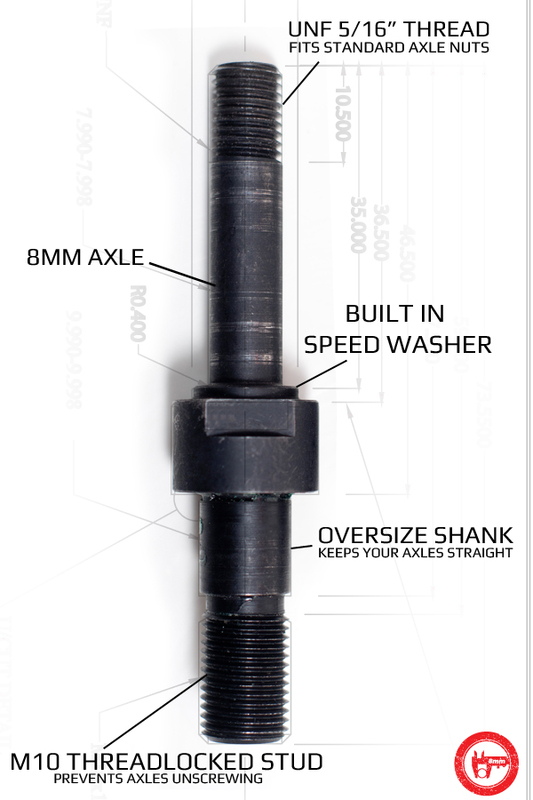 Our axle studs have a built-in speed washer on the inside edge so you don’t need to run one there anymore. Can you imagine how bad an axle stud unscrewing would be? We have made doubly sure this will never happen by using a super-high strength threadlocker, a deep 10mm shank and a super-fine thread on our studs. As the rest of our hanger is so light, we have hugely over-engineered the axle studs to keep them straight and true. Straight axles mean even wheel wear, precise tracking in sweepers, and longer bearing life.